Kairali Ayurvedic Health Resort has earned the reputation of being among the best Ayurvedic centers in Kerala, offering the best treatments and health resources to all the guests who decided to stay in here. The calm, composed and pollution-free environment in the hotel makes a stay in here very pleasurable and ensures a perfect retreat from daily city lives. Deluxe Villa: Simple rooms installed with basic amenities. Classic Villa: Spacious rooms with basic amenities along with the pleasures of listening to sounds of flowing water. Royal Villa: These elegant rooms have a swimming pool and all modern luxuries. Maharaja Suite:The most spacious rooms in the hotel have various additional features and modern surprises that ensure the best stay in this hotel. 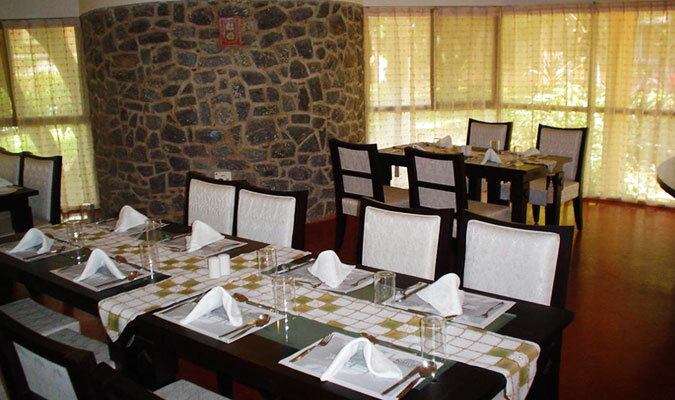 The food in the on-site multi-cuisine restaurant is cooked using fresh organic produce from Kairali’s own vegetable gardens and is served to guests according to the prescribed dietary requirements of the guests. The food is healthy, nurturing, nourishing and relishing.